SPRINGFIELD, Mass. 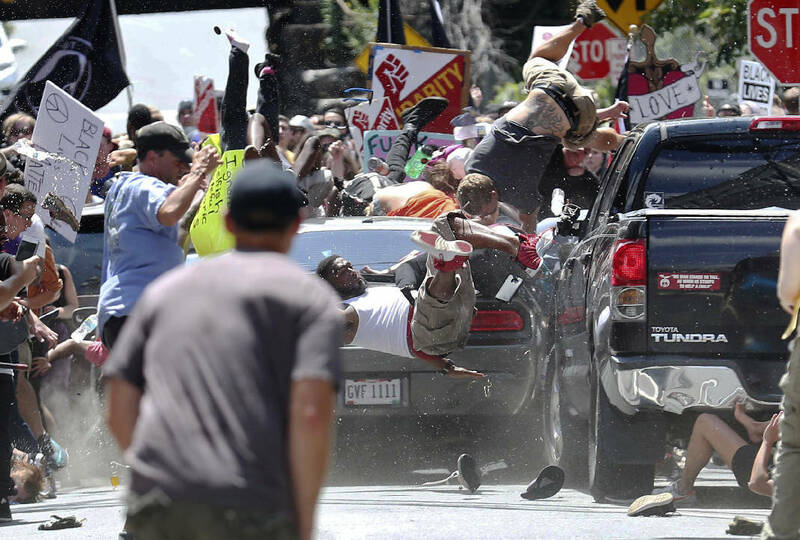 (AP) - A Massachusetts police department is investigating a Facebook comment by an officer who wrote "Hahahaha love this" in response to a story about a car crashing into counter-protesters at a white supremacist rally in Charlottesville, Virginia, killing one person and injuring at least 19 others. Springfield Police Commissioner John Barbieri says he received a complaint about the comment Sunday and opened an internal investigation. Officer Conrad Lariviere wrote in response to the violence: "Hahahaha love this, maybe people shouldn't block road ways." In a Facebook interview with Masslive.com, Lariviere says he's a "good man who made a stupid comment." Democratic Mayor Domenic Sarno says: "There is no place for this in our society, let alone from a Springfield Police Officer." An Ohio man is charged with second-degree murder and other counts over the crash.